This small program is tool for printing sticky labels attached on goods. With this tool user can enter, print preview and print specific information which describe the goods. User can choose size of the label and various layouts of information printed on the label. User can enter any number of records prepared to print special information on desired label type. This tool also brings a possibility to edit records stored in database of labels. In this screenshot the main window of program is shown. The following features are introduced: user can create new record for label, edit label information, copy information from existing label to the new one, remove label record, sort and filter information in the database, print preview and print labels. 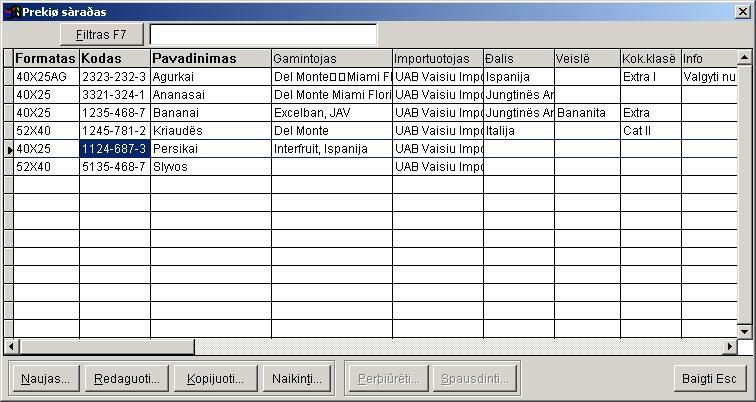 In the following screenshot is shown how data entry dialog look like. User can choose label format from combobox, enter code of goods, and other specific description information. Origin country can be entered manually or selected from entered before. New origin country (which does not exist in list) is included into the list for next reuse.